Baltimore private investigators must be well trained and experienced, in order to work in this notoriously tough city environment. Baltimore, Maryland has a reputation as a locale which attracts specialists in criminal investigation, since unlawful elements are unfortunately very active in the area. Due to its ideal location, Baltimore offers private detectives the chance to work in several major legal markets simultaneously, increasing their client base and the number of assignments they can work at one time. This essay examines the professional detective scene in Baltimore, Maryland. Baltimore is located near the neighboring legal markets of Annapolis, Columbia, Rockville and Frederick. The city is also very close to Washington DC, offering a huge networking opportunity for area investigators. However, many detectives also offer services in the neighboring markets of Philadelphia and even Atlantic City to fill their schedules and better their chances for a successful fiscal year. Being that there is a strong armed forces presence in the area, maritime investigations and military record investigations are niche focuses offered by many detectives. Baltimore detectives often have former military experience, in addition to the many who have worked in law enforcement. Criminal investigation is commonplace, since many clients feel that their cases are better resolved using private investigators, rather than relying on an overburdened police force. 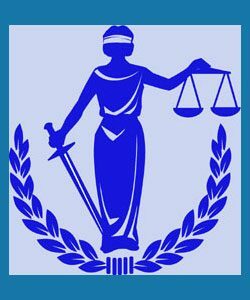 Baltimore detectives, who venture into DC regularly, often work in the political arena, or offer a variety of legal investigation services, including trial preparation, process service and even lie detection. Hiring a private eye in Baltimore, Maryland is not difficult, since there are many excellent and well known private detective agencies in the area. If you are not sure who to call, start with your lawyer, since they will likely be able to recommend a great investigator, who specializes in the type of case you require to be resolved. If you can not find a specialist near you, try contacting a local P.I. association, since these organizations keep large databases of all types of investigative professionals and will surely be able to refer you to an ideal candidate for your needs.